We are now shipping all of our Trainsets freight free Australia wide! 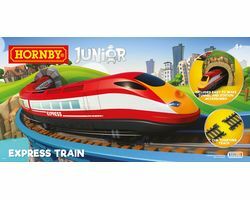 Hornby train sets are a great way to get started with model trains, in addition to expanding an established analogue model railway. Analogue sets work simply, by varying the current along the tracks to adjust the speed of the engines. 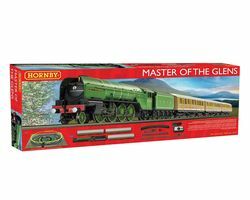 Our analogue train sets offer a broad range of locomotives – from steam trains to the modern express – along with exciting rolling stock. Look for the DCC-Ready tag which means they can be upgraded to run under digital control, should you wish to upgrade in the future. 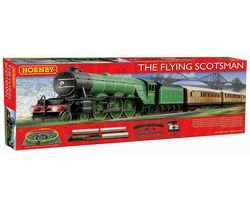 Each model train set includes an engine, coaches or goods wagons, train tracks, unique Hornby TrakMat, transformer and train controller, all of which can easily be expanded as your train set evolves over time. Explore the rich functionality available with our DCC-fitted sets for the ultimate in train control. Our digital train sets are an easy way to start your digital model railway or to quickly expand existing layouts. Digital DCC train sets use a constant 15V AC voltage across the rails and send additional electronic instructions to vary the speed and direction of individual locomotives and even control lighting and sound. 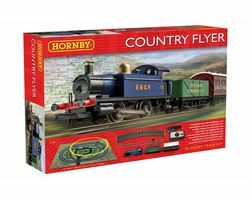 Essentially, run several locomotives at different speeds, in different directions on the same track! Choose from the sets with the Select controller – capable of controlling up to 60 locomotives and 40 solenoid-operated accessories (such as points) – or the state of the art eLink digital interface unit via your PC, which can manage an astonishing 9999 locomotives and in excess of 2000 points or accessories. 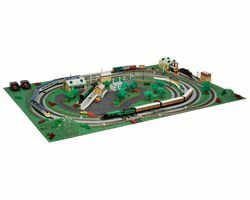 Click on the individual sets to explore the locomotives, rolling stock, track, unique TrakMat and digital controllers in each set. Read our DCC pages for more information.